Shires Blenheim Non-Stretch Stirrup Leathers feature a nylon core which prevents the leather from stretching and therefore greatly increases their strength and life. The nylon core is wrapped with leather that's punched with numbers for ease of use. 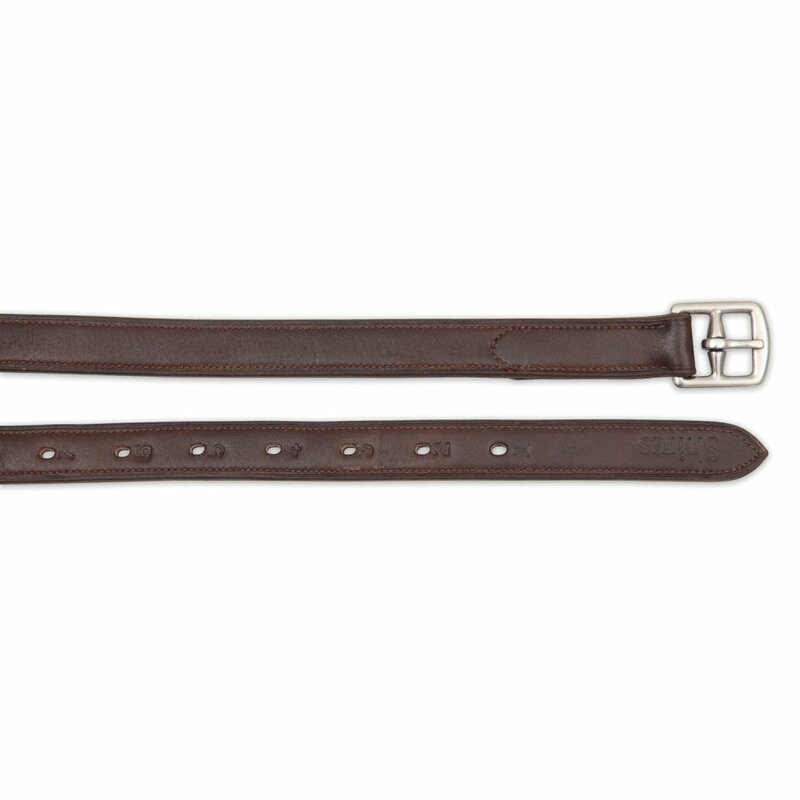 These Shires Stirrup Leathers have stainless steel buckles and are stamped with Shires on the end.